Packed with conditioning ingredients like jojoba oil, grapeseed oil and almond oil, beard oils are hydrating to the skin and help soften and tame beard hair, which means it also does double-duty as a styling agent. The ideal beard should look shiny and groomed — not dusty, flaky and shaggy. Just about every man that grows a beard after about one month will start to notice that it gets a bit itchy. While some beardsmen like to just “push through” this phase, this discomfort is completely unnecessary with the added use of beard oil. To understand why your beard is getting itchy, it is important to look at what is going on with the skin beneath your beard and how beard oil plays a role. At the root of every one of your beard follicles, you have a pair of glands called sebaceous glands. These glands are key to making sure that your beard stays well nourished. The sebaceous glands create this oil called sebum oil. As your beard follicle gets longer, it simply requires more and more sebum oil to coat the follicle while also keep your skin well-nourished and moisturized. One important key to understand, is that no matter the length of your beard, your sebaceous glands stay the same size. Given that they are finite in size, their sebum oil production can’t effectively keep up with the demand of your beard follicle. No matter the length of your beard, sebum oil remains constant. Therefore when your beard gets to a certain length (every man is different but typically after a few weeks of growth), their sebum oil just simply isn’t enough. This is when your beard and more importantly, your skin becomes dried out and itchy. Therefore the introduction of beard oil will actually act as a supplement to your sebum oil making the dreaded beard itch go away while also giving it the proper nourishment that it is seeking. When you don’t use any sort of beard oil on your skin for an extended period of time and are constantly itching it due to irritation, beardruff will be born. Beardruff is essentially dandruff for your beard. Your skin is so dry that when you start to itch it, the skin begins to flake causing white specs of beardruff to show up on your shirt. While we have been concentrating a lot about your skin care with beard oil, it does actually help make your beard feel a lot softer, but also look great as well. Apply beard oil first thing in the morning after showering or cleansing. This way, your hair follicles and pores are open and can easily absorb the oil. Caring for skin, particularly cleansing and moisturization, is crucial, especially if you live in a cold or dry climate. Applying beard oil is actually a pretty straightforward process. In fact you can just put about a dime sized amount into the palm of your hand and rub it in from the base and work the way to the ends. 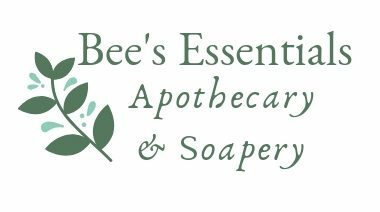 You can purchase our beard oil on our Etsy Shop (BeeHappyEssentials) or go to www.beehappyessentials.net to see a list of all the upcoming markets and events we will be attending.